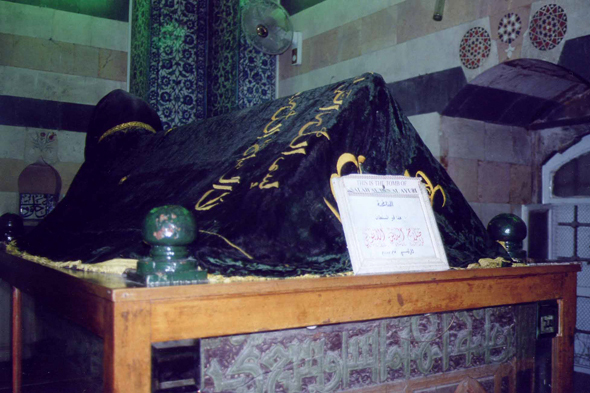 The tomb of Saladin (Salah ed-Din). Saladin becomes famous in 1154 in all Middle East, while pushing back the crusaders and by retaking Jerusalem. Saladin permits a new rise of Damascus, the city accomodates those which flee the exactions of the crusaders.